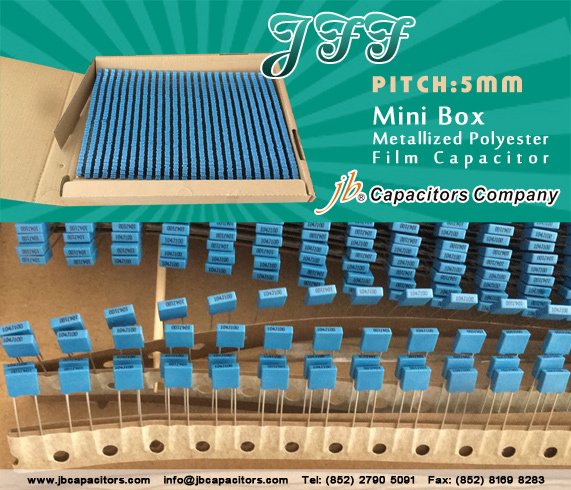 We are greatly honored to have this opportunity to show you our below new product Mini Box MKT, very small dimensions with the pitch is 5mm only! 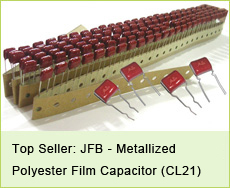 To work effectively with diverse clients, jb Capacitors update our products step by step. The relentless pursuit of quality perfection. JFF has good self-healing effect, good stability and reliability can be widely used in various DC and impulse circuits, such as communication equipments, radio, TV, VCD and other electronic equipments. This product has already hit the store shelves. Have I drawn your attention? Actions speak louder than words. More importantly, our prices is always quite affordable than other companies! 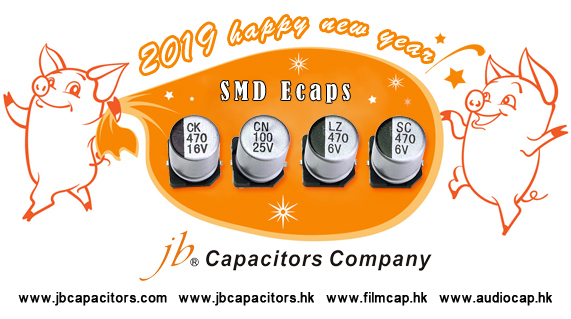 Because You are deserved to try jb Capacitors. Your satisfaction is our pursuit. 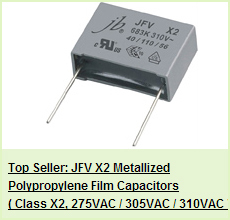 Do you think P: 5mm Box Stacked Polyester film capacitor COST is very high? 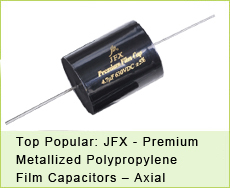 If yes, our JFH Subminiature Size Metallized Polyester Film Capacitor will help you! 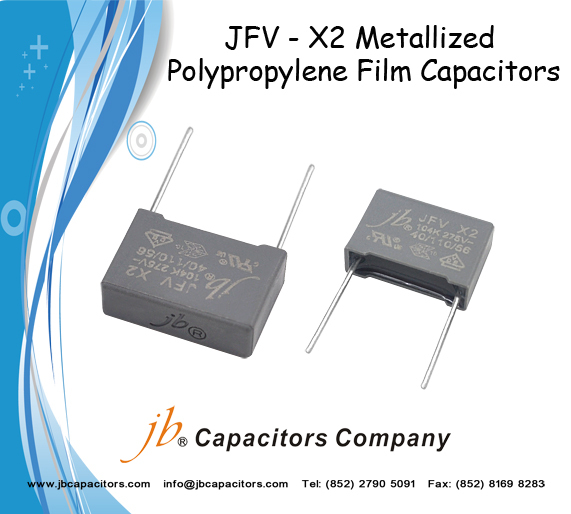 We offer Capacitance range: 0.001μF to 1.0μF, Voltage: 100VDC, Pitch size: 5mm, +/-5% tolerance. Excellent equivalent part to Panasonic ECQV, Arcotronics MKT R82 (R85), Wima MKS2, Vishay MKT 1817, Epcos B 32529, Iskra KEU 1930, KEU 1940 etc. Once we received your inquiry, you will receive our competitive offer! 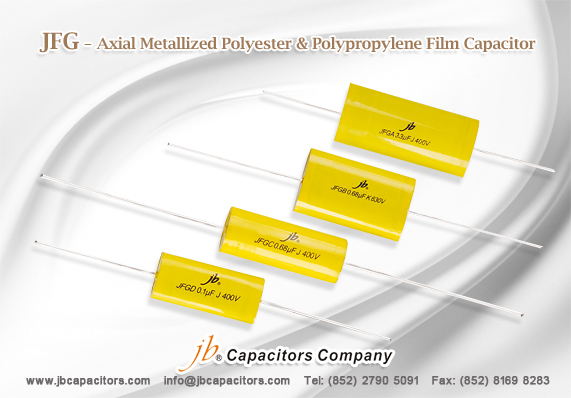 jb capacitors professional at producing film capacitors for more than 31 years, our film capacitors widely used in big manufacturer's applications, such as Bosch, Philips, ABB etc... Our price & lead time are unbeatable, pls. kindly send your inquiry, and let me help you to cost down.